Water damage places a double whammy on your property and your wallet. Not only are you dealing with property destruction, but you also potentially have to contend with the dangers of mold and mildew growth. If you are dealing with a catastrophe stemming from a burst pipe, a leak, a spill, or any other cause, you need water damage contractors with the ability to quickly repair the situation and give you a fresh start. To ensure you hire the right people for the job, here are some things to look for. As you’re looking around for reliable contractors, you should never focus solely on the estimate you receive. There’s more to hiring a company than picking the lowest quote. When it comes to the restoration of your damaged property, you need contractors with top-notch skill. Knowing how long the company has been in business shows that it has extensive experience. Professional certification would be proof of a high level of competence. It also would show the commitment of the company to remain current with today’s technologies and processes. Next, you’ll need to ensure that the service quality of the company is up to par. Online reviews from past customers are a great way to find this out. Read the testimonials to see what customers have complained about and whether there are more good reviews than bad. 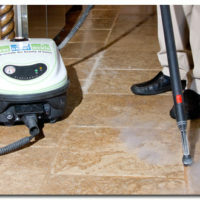 You want to find the right water damage contractors but you cannot afford to wait too long. Water damage repair is not a job that you can put off. Delays will only lead to more severe problems. 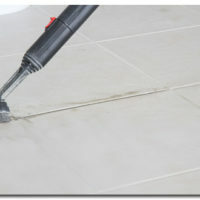 For a fast solution to your problems, you can trust the highly qualified team at your local Grout Medic location. Call 1-866-994-7688 or contact us online by filling out our form. We’ll give you a free estimate!